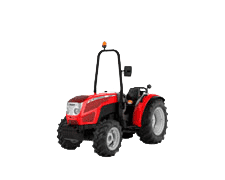 - F: (narrow orchard) ideal for work in small-sized, narrow-row orchards. 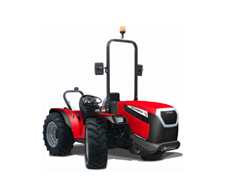 - GE: (low orchard) ideal to move under low-hanging orchard branches. 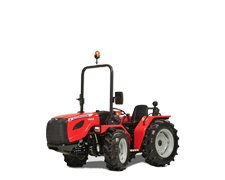 - GB: (ultra-low orchard) special for working under overhead trellis systems. - XL (wide orchard): ideal for wide-row orchards and field work. 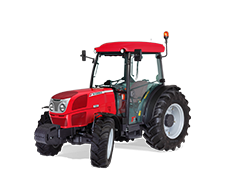 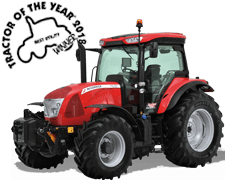 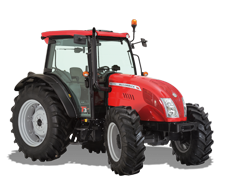 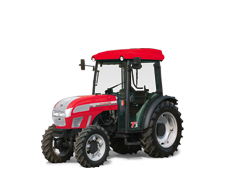 This new tractor range includes four versions – F, GE, GB and XL – and six models with maximum power outputs from 70 to 112 hp at 2200 rpm. Powered by Deutz TCD L4 2.9L, 4-cylinder engines that meet Stage 3B emissions standards, all models feature exhaust gas recirculation system (EGR), diesel oxidation catalyst (DOC) and Engine Memo Switch to store engine rpm. 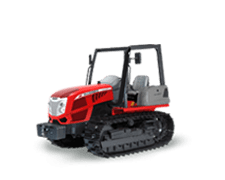 The ROPS version of the X4F features as standard a Speed Four transmission with four gears and three ranges providing 12 forward and 12 reverse speeds with synchro shuttle. 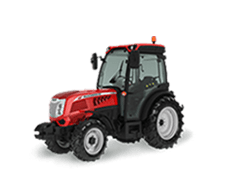 A 15+15 Speed Five transmission with five gears and three ranges with either synchro or power shuttle is available as an option. 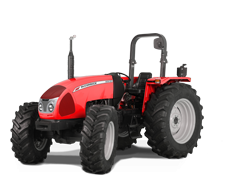 The Speed Five transmission can be combined with a Power Five module to obtain up to 30 forward and 30 reverse speeds. 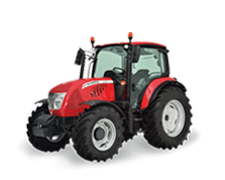 A creep speed option is available for all versions. 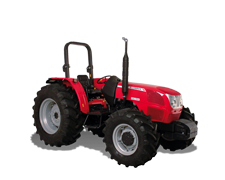 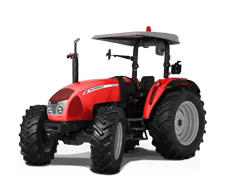 The ROPS version of the X4F tractor features an innovative design which combines beauty and functionality. 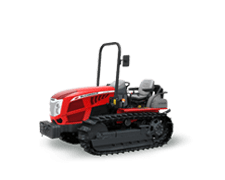 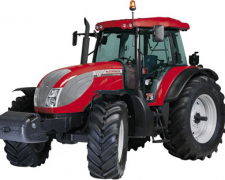 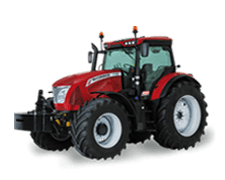 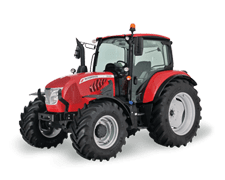 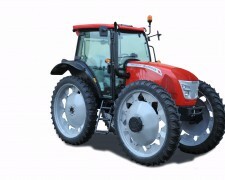 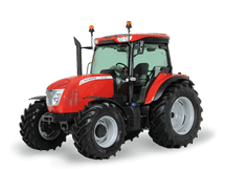 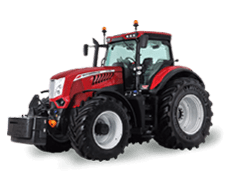 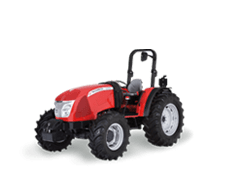 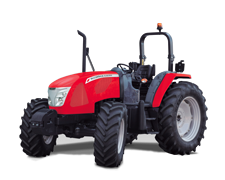 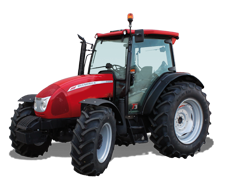 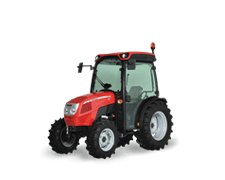 The sleek, dynamic lines of the hood and the rounded profile of the fenders allow this tractor to move easily under low branches and through narrow rows. 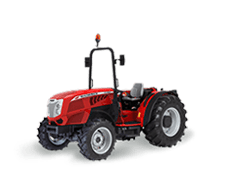 Spacious, comfortable and safe, the driving position ensures exceptional all-round visibility, thereby maximising productivity. 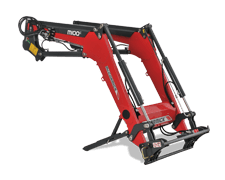 The ROPS models feature as standard a hydraulic system with a double pump that supplies 50 l/min to the rear hitch and remotes and 28 l/min to the steering system. 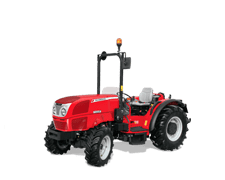 Available as an option is a triple pump that provides a flow rate of 44+41+28 l/m to operate, respectively, the rear hitch and remotes, the front remotes and the steering system. 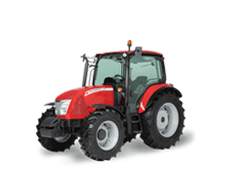 Three mid-mounted front remotes are available on request with the triple pump in combination with a joystick for the control of front-mounted implements.